1234 square feet of living space above a spacious three car garage. A HUGE bedroom, comfortable kitchen and open family/dining room make this carriage house a fantastic choice for a vacation house plan. 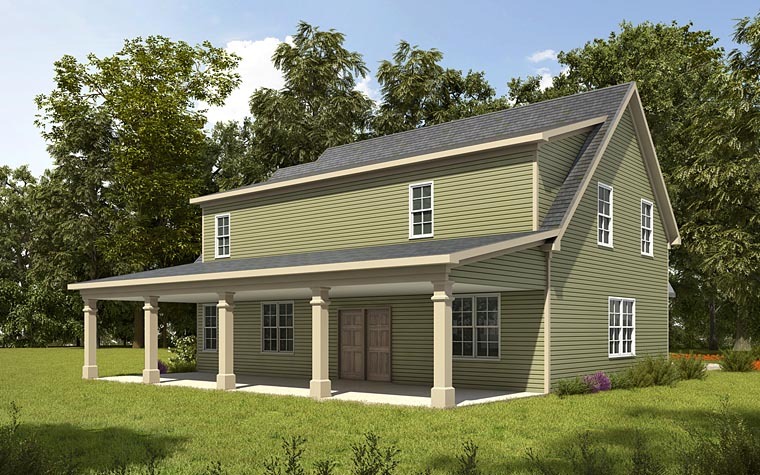 The large rear covered porch offers a generous 623 square feet of shade. 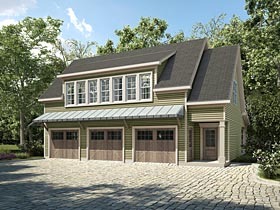 No wonder this garage apartment / carriage house is among our best selling garage designs. Question: We are very interested in this plan, however; need clarification on the ceiling height in rooms and clarification on the stair layout. The plan for the staircase on 1st floor doesn't match the 2nd floor. Answer: The Main Level and the Upper Level ceiling height is 9’-0” The staircase matches exactly. The stair turns half way up and the left side of the storage closet on the garage has a clipped ceiling in it. Please call for a modification quote. 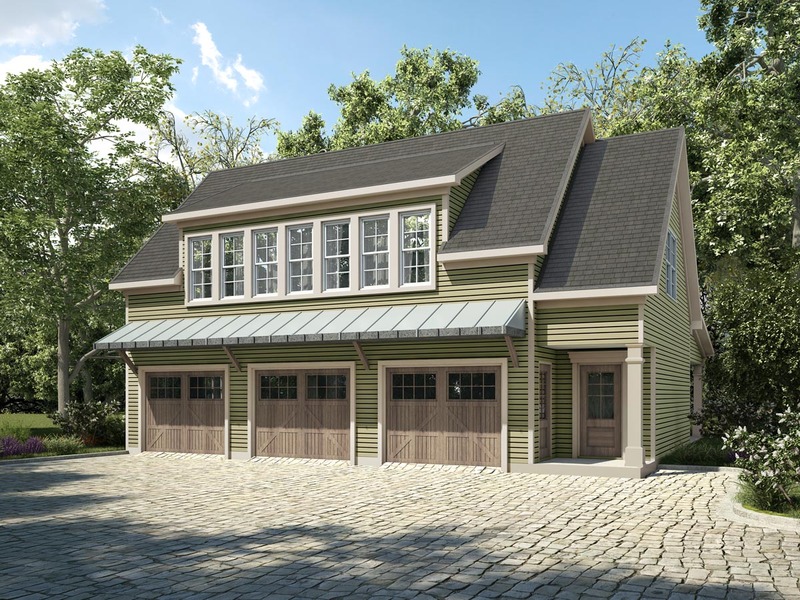 Question: What is the ceiling height of both the garage and the upstairs? Question: Questions: (1) where in the plan is the space for water heater and HVAC? (2) are there steel support posts in the garage which are not shown? Answer: The hot water heater will be in the storage room in the garage. There are no support post in the garage. The floor system is species as a “clear span” floor system. Question: Do you have this plan or something very similar to it with 2 bedrooms on the upper level? Answer: No, I am sad to report that we do not.